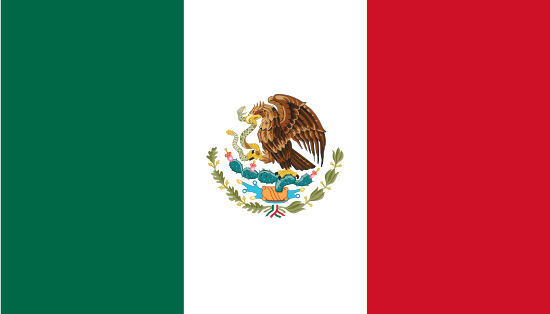 Mexico is in a new era when it comes to labor law, with several significant developments affecting the country’s labor landscape. On September 20, 2018, Mexico ratified the International Labour Convention’s Convention 98, endorsing the right of union members to organize and engage in collective bargaining negotiation. Then, on November 30, 2018, President Donald Trump, President Enrique Peña Nieto, and Prime Minister Justin Trudeau signed the United States-Mexico-Canada Agreement. This agreement increases labor regulations by including a labor chapter (Chapter 23). On December 1, 2018, Andrés Manuel López Obrador took office as Mexico’s president. His approval rates and support from the population have only increased since then. He is promising to fight corruption and help the underprivileged part of the Mexican’s population. In December 2018, Mexico was divided in two geographical zones: the Free Northern Border Zone and the rest of the country. After the application of new legal minimum wages in Mexico’s Free Northern Border Zone, effective January 1, 2019, substantial conflicts (strikes and illegal work stoppages) arose in Matamoros, Tamaulipas. Groups of employees, led by activists, stopped operations in at least 45 “maquiladoras,” requesting a 20 percent wage increase and an extraordinary annual bonus of $32,000.00 pesos (approximately USD $1,641.00) per employee. Reports indicate that 43 plants in the region agreed to those demands and 2 intend to close operations, firing approximately 1,500 employees each. Another 26–29 plants are still evaluating what to do next. This movement was initiated by an activist from Ciudad Juarez, Chihuahua, who incited the employees to push against the companies and their union leaders with illegal work stoppages. This is not a movement initiated by the unions or their leaders but by the employees under the influence of third parties (at the end, unions had to file to strike at their representatives demands). The aforementioned activist is a lawyer who has created many labor issues for many large employers in Ciudad Juarez, Chihuahua. The activist utilizes social media and publishes messages with information about labor issues, compensation, overtime, holiday pay, work hours, etc., and is currently convincing employees to follow her by promising them that they will obtain better salary and benefits. Additionally, new and important players are currently “rattling the cage” in order to break the status quo. In February 2019, Napoleón Gómez Urrutia, longtime miners union leader and current Mexican senator, created the International Labor Confederation (CIT). This confederation currently incorporates 10 federations and approximately 150 unions. Pedro Haces Barba, also a Mexican senator, leads the Autonomous Confederation of Workers and Employees of Mexico (CATEM). These confederations are new options for employees and stand in contrast to longtime players Confederation of Mexican Workers (CTM) and the Revolutionary Confederation of Workers and Peasants (CROC), which are longtime government partners and are seen as employer-friendly unions since they promote protective bargaining agreements. The labor boards will be abolished. In their place, new labor courts will need to be incorporated. Labor boards were part of the executive branch. With the creation of labor courts, the judicial system will oversee the labor process entirely, not only “Amparo” lawsuits. It will have conciliation centers, and employers and employees will be required to demonstrate that they tried conciliation prior to the employee filing a claim before the labor courts. It will serve as a national center for registration of unions (all unions will be registered under this labor institution, detailing their bylaws, members, assets, and directives, among other things). All collective bargaining agreements (CBAs) will be filed with this institution. New requirements will need to be followed in order to have a CBA registered. The first and most important requirement is that the labor organization must have evidence of the actual and current representation from the union with actual members being employed by the company. These are interesting times in Mexico, and there is more to come on the labor law front. A little-known but crucial position at the U.S. Department of Labor (DOL)—the director of the Office of Labor-Management Standards (OLMS)—was finally filled on July 9, 2018, by Arthur F. Rosenfeld, an experienced former member of the administration of President George W. Bush.